November 14th: Imports are now functional for the Street Fighter II table! October 22nd: We've received confirmation from Microsoft that The Walking Dead imports from Xbox 360 to Xbox One should now be functional! Let us know if you have any trouble. October 15th: South Park Pinball can be imported from Xbox 360 to Xbox One at launch! The tables are now live on 360 and will go live on Xbox One tomorrow, October 16th. If you have issues, check the suggestions on the top of this FAQ thread first, and let me know if you continue to have trouble importing. A patch to fix the leaderboards will also be included in tomorrow's Xbox One update, again, let me know if there are still issues after you've installed the update. The Walking Dead imports should be functional soon, I will update this post when I have confirmation that it works. We have some excellent news for you all today! Microsoft has found a solution to the import issues with the Original Marvel Pinball pack, Earth Defense, and Excalibur, and the fix is now being rolled out. We thank you for all your patience and support during these last few weeks. If you have issues importing these tables, please go to ‘Manage Game' on your Xbox One, scroll to the right, and you should see content listed as ‘Ready for install' or you can find the content listed in-game or on the store and they should be listed for free if you already purchased them for Xbox 360. Please note that this may take some time to roll out to all regions. Let us know if you have any questions! [September 11th: We have just received confirmation from Microsoft that the Marvel Pinball pack, Earth Defense, and Excalibur tables have been released on Xbox One. If you are unable to import these tables from 360 to Xbox One, please let us know after you have tried the suggestions for importing below, as we do not want players to purchase the same tables twice. We appreciate your patience while we work with Microsoft to get imports functioning for all tables in Pinball FX2. We have received an update from Microsoft and while there is no ETA just yet on issues with imports (both with launch day tables and The Walking Dead), resolving this issue is of paramount importance for both Microsoft and Zen Studios. This is due to numerous technical complications that unfortunately fall out of our hands here at Zen, but we sincerely apologize and will find a way to make it right in the future. Thank you so much for all of your support and patience. We thank everyone for their patience as we resolve a few issues with the release. Being the first backwards compatible game on Xbox One, we are working hard to get the game working properly in the retail environment. We hope to resolve all the bugs ASAP and ensure a great game for everyone. Pinball FX2 IS NOW AVAILABLE on Xbox One! Can I import my existing Xbox 360 tables to Xbox One? YES! Details on the import process are further down the FAQ. What tables are available on Xbox One? How much does Pinball FX2 cost? The Pinball FX2 platform is free for all players to download. In-game purchases range from $2.49 to $9.99. Are there any free tables with this version of Pinball FX2? Yes, one of our fan favorites, Sorcerer’s Lair, is totally free for all players who download the game. Can I try the tables before I decide to buy? At this time there are no demos for the tables. Are there any special features/enhancements? Sorcerer's Lair (the free table that is included) has 10 achievements worth a total 1000 gamerscore. The rest of the tables have 1 achievement (10 GS each), except for the Deadpool table which has 2 achievements (also 10 GS each). What about Plants vs. Zombies and Street Fighter II? We are working on bringing these tables to Xbox One. What about the original Pinball FX Collection, Nightmare Mansion, Buccaneer and Rocky & Bullwinkle? These are not coming to Xbox One. These were built in old tech, and cannot make the next gen jump. What about Ms. Splosion Man? This table is not planned to release on Xbox One. As always, we really want to hear your feedback, please let us know if you have any questions! We will update this FAQ as needed with questions you may have. Last edited by BarbieBobomb; 07-31-2015 at 04:02 PM. - What is a Worldwide Tournament? How is this enhanced from Xbox 360? - Is there anything similar to the PS4 Pro-Score system? Sadly disappointed. Reading between the lines... Thank you MS for screwing your customer once again. Really thinking XB1 over PS4 was a big mistake, this go round. I don't own an XBOX One, but I do like the new interface though, with the Marvel, Star Wars, and Zen tables placed in their own sections. Well so much for that. I don't have the money to buy all the tables again and not sure if I would out of principal. There have been other games that have had season passes that worked on 360 and Xone. Such a slap to the fan base, especially after the PS4 allowing old tables. Even a discounted rate would have shown some compassion. No need to call our fans names, but I do understand why you're upset. We are too. We definitely do not want people to have to repurchase the same content. All feedback will be sent to Microsoft and we will be working on making this right. I don't blame you. Unfortunately this wasn't even an option made available to us on Xbox One like it is on Sony platforms. This is on MS, not Zen. Barbie has stated repeatedly on the FB page that they will take all of these complaints to MS and try to make it right. Zen does not want to make you pay again for something you have already purchased. It's Microsoft's policy and Zen wants to do it's best to fix it. Everyone needs to start complaining to MS. It may or may not have been. As I pointed out in my previous post, there were several games that allowed the season pass to work on both 360 and Xone. One of those games was COD:Ghosts, and we all know how Activision loves their money. So I'm not 100% convinced it was MS's fault. Edit:Just saw some of the Zen replies. Hope they figure this out with MS. If they can't an all inclusive package for all their tables except for Deadpool at a discounted price would be nice. Last edited by Ashecorvus; 07-16-2014 at 03:14 PM. If Zen Studios knew this was going to be an issue and knew people were going to be upset with it, then why release the game this month? Especially if you say that Zen will be working on making it right? I think a big part of it is that MS did not expect this kind of reaction from fans. We knew people wouldn't be happy about it (because we pay very close attention to what is important to you guys and what features you'd like to see). I think now that they are getting lots of negative reactions, they feel inclined to change. We're pushing them to make imports a feature available to us, fingers crossed that we can get them to do this quickly. As a person who has purchased most of the tables on the 360, I'm surprised & disappointed that I would need to re-purchase all of them at full price if I want to play them on XBox One. Which I really, really do, by the way. Note that I wasn't expecting the upgrade to be free - I respect that there are real costs involved in creating a new platform, and also that there may be license fees owed to Marvel, Disney, etc. for the tables. I also get that Zen & Microsoft aren't charitable organizations and that they need to make money. But I was expecting at least a discount or perhaps the purchase of a one-time transfer license similar to what Harmonix did for transferring music libraries to newer versions of Rock Band. But this just seems extreme and I'm not paying full price for content that I've already purchased. I bought the Assassin's 4 Season Pass on Xbox 360 and I don't have to pay for it on Xbox One, so it does exists some kind of 'crossbuy'. I don't know what does Zen Studios have to do in order to use this functionality, but there it is. Surely Microsoft could easily soften the blow by simply checking for purchases on your account or looking for redeemed codes on your account. I can't see how its rocket science for them. Last edited by Nod Nolan; 07-16-2014 at 04:11 PM. Thanks for your feedback everyone, I will be sending your comments to all involved so hopefully we can get some sort of import deal or at least a discount for those who have purchased tables on Xbox 360. I will update this thread with news if/when we get it. Good to know, thanks for the response! Really love the tables but I can't justify spending another $100+ to play them again. One thing you may want to look at is why Dance Central is importing tracks but you guys can't import tables. I agree with the poster above that I understand there's cost involved with bringing the tables over and the work you guys put into the engine and ui. I don't think as many people would be upset if the PS4 owners had to pay too, but that's just simply not the case. Good luck and I hope you guys can figure it out with MS.
Last edited by Ashecorvus; 07-16-2014 at 04:07 PM. Hopefully Microsoft will see sense and allow a Import Function to be implemented. I'm just voicing my displeasure with this action taken by Microsoft. I know it comes down to Xbox 360 and Xbox One are on slightly different architectures and databases, but come on, you should be able to transfer the purchases over. It might be time consuming, but someone needs to fix this. I hate, hate, hate purchasing the same game over and over again. If I buy a digital version of something (books, music, videos) it should be able to be played on a new piece of hardware. For whatever reason, Microsoft has taken a step backward in terms of their video games policy. I've spend a lot of money on Pinball FX tables, since I own them all. I don't want to blame Zen Studios here. I fully blame Microsoft. Look, if they can somehow track a purchase made from Windows Phone database, how come they can't track purchases made on Xbox 360? They allowed you to "upgrade" Halo: Spartan Assault for $5 if you previously purchased on Windows Phone. It seems to me that it should work the same way. Heck, all my video content that I purchased is still on Xbox Video, regardless of where and when I purchased it. I'm more than willing to pay a small "upgrade" fee to play the tables that I have already purchased on Xbox One. Right now, though, I'm afraid I'll just stick with my 360 to play Pinball FX2. Thanks - do you by chance have any links (preferably from a Harmonix site) where it says you can import tracks? I've heard about this but not seen anything official. That's from their forums. Second question answered in second post. Thanks - I appreciate the link, though I'm not sure how official it is, the person who answered the question is just listed as a registered user, not a mod or Harmonix rep. But.. I have friends at Harmonix I can ask. Thanks again! On Xbox One could we play online like the Xbox360 version, or is the feature missing like on WiiU/PS4 ? I'll keep looking at my end and if I find anything more official I'll let you know. Edit: Just found this article where they say it's just the DLC, not the on disc content. The only problem is they don't give a reference. Maybe I can listen to Harmonix podcasts later where they talk about the game. Just registered to add myself to the list. I've bought pretty much every table for Pinball FX2 on the 360 and was very pleased to hear that it was being released on the Xbox One, however reading further I found that I would have to re-buy all of them again not even at a discount to play them on my Xbox One, I think that's wrong and on top of that PS3 players can import them to PS4 which makes it even worse in my opinion. I love the Pinball games that ZEN Studios make and I think they are unrivaled, but I wont be buying anymore tables after this until I am able to import tables bought on the 360 to the Xbox One like people can with the Playstation. Also I agree with Matt McLean, he said it perfectly. Sad news. I'm one of Zen Studio's biggest fans of both PB FX and Zen Pinball. I have them both from the beginning on Xbox 360, PS3, PS4 and even Wii U. Working to get my Pro Score in the top 10 on PS4 and was looking forward to the Xbox One PB FX 2/3 as I just picked up an XB1 last week. Very disappointed with Microsoft (folks, don't blame Zen) but hopefully when MS sees the backlash when compared to what their competition has done, maybe it'll be rectified. I hate to say it but if this is the case, I'll skip PB FX2 on XB1 and wait for FX3. I was talking to my friend last night about what could possibly happen with FX3 and it would be great if it were a whole new platform with new and unique tables/features and no import issues. I wouldn't mind at all. Have to say that it always confused me why there were two different platforms on both systems. Early on, there were more unique tables to each system but since, most have crossed over and it's become a mess. Did I really need to buy Star Wars tables on 3 different platforms? No, but I did. It would've made sense to make everything "Zen Pinball" on all systems going forward next gen with the same table availability. I think Zen has started to lose their customer's focus lately with all the platforms incl mobile and the mish mash of tables on different systems. I was half excited/half dreading working on all the tables on XB1 but this decision has made my choice to skip it easy. I'll continue to focus on PS4 and hope that this gets worked out but I really feel that Zen needs to look at this brand for the future and unify it. Ms fault? Maybe. But why was possible from Pinball fx to Pinball fx2? I think that all of this is due to id@box program. If the game come out like an live arcade I'm pretty sure that none of this happend. I'm waiting to play my tables on xbox one since I bought the console, but now if the things dosen't change I will never buy a single table, in any platform. It's very simple to say "is Microsoft fault that you have to pay us for something that you already own"... But you understand that is not only MS that take advantage from this matter no? I love Zen studios, and as you can see from my table's list I had buy ALL the tables (sometimes twice, on x360 and ps3) but this is simply unacceptable. Any reason why my purchase history on the 360 couldn't be used to know which tables I've already purchased and enable me to download them again on the Xbox One for free? Is there no record of gamertags that are associated with table purchases? I'm not sure about the technical details of it, it just wasn't an option that we were given for Xbox One. Like I said, we are busting our buns to get this changed. I really feel for ZS here, this is hurting their biggest customers on the platform. I too bought everything and am really sucker punched by this, I can't buy it again. I've been posting on Reddit, NeoGAF and the Xbox Feedback site. It's just not fair that users on one system get it and other don't especially after the Minecraft and Dance Central carry overs. I though MS/Xbox were on top of this, they've been trying so hard in the last few months but this is a step back for them. Really appreciate you spreading the word and setting up the post on the Xbox Feedback site, I think it will really help (and welcome to the forums by the way). We are going to do everything we can to get transfers or some kind of discount at the very least. I don't think MS expected this much of a response from fans, so it's great to see you and everyone else who has commented here or on other pages giving honest feedback. Thank you!! Pinball FX2 was one of the games I was waiting for in XBOX One. Now I've read that it would be finally released. I was hoping cross-platform gaming like it is in PlayStation 4. I know there is no cross-platform between Xbox 360 and Windows 8, but I was hoping it to be possible. I'll save you the thrashing. Just add me to the list of players unsatisfied with this decision. Here is a little bit more context about the transfer issue. I'm not too worried about it now though, I am really optimistic that we can work something out (thanks to all of your feedback!). Is the Xbox one version of the game 3D compatible like the Playstation versions ? I'm thrilled to have this come to Xbox One, I have purchased all the tables on the 360, and many on the PC via Humble Bundle. Like many of the other folks I am very disappointed about the lack of cross purchase support. Please pass this along to MS as well. Cross buy would really make me happy. That was the plan but looks like it won't be happening right at launch. I'm confident that Microsoft will fix the situation. Phil Spencer seems to be a great boss over there and is on top of things. Besides, Xbox can't afford anymore bad press. They'll switch it around. Damn. No compatibility = no repurchasing for me. Microsoft, get your heads in gear. But nice to see the tables run at 60 fps /1080p. Can't wait to try Sorcerer's Lair. Here's another place you can go to help MS know how you feel. Thanks BarbieBobomb for dealing with all the heat related to this, and thanks for trying to get this fixed. Unfortunately, I won't be purchasing any of the tables if I have to rebuy them. I've already "tripple dipped" on 360, Steam, & Android. It really is a slap in the face to consumers that the competition has a solution to this and Microsoft doesn't. I really hope that ZEN Studios can get this figured out. Actually, you are mindless, because you can't grasp the simple fact that it's not possible for Zen to do anything about it. Please remember this isn't Zens fault. Thank you Barb for your patience and do your best to not let angered words get to you. I've been checking in on this game for a long time now...and not having same capability as PS4 for tranferring already purchased games is a huge huge thing for me. These things are deal breakers for me and systems and yes ZEN. I am fiercely loyal but don't jam me up or you'll loose me in an instant! I have 90% of the tables on Xbox 360 and there's no way I'm spending another $70 to buy them again on XB1. Please make MS fix this. It's really bad publicity for both Zen and Microsoft. I'm so disappointed. I was going to buy the newish star wars packs but no way if this isn't rectified for the supporters of Zen on Xbox. Very well said. It is the reason I have yet to purchase a next gen console in the first place. It's not only Zen pinball fans that are suffering. It's also other games that have to be re-purchased to play on the next gen console. Why? Why is so hard to offer cross platform and keep your supporters of each console happy? Frankly I'm surprised that they made this announcement knowing the backlash they will get. I was the same with the PS4 and the release of only the 20 tables. I know they were free but that's not the point. I understand that there are those that are new to the console market and have yet to experience the games they are re-mastering and available on the new consoles. That's all good but I'm not going to pay for the same game again with the 'Re-mastered ultimate high Definition/3d capable collectors DLC pack extreme Edition' Game that I already payed for. Why was it so hard to have PS3/360 games playable on the new console. Not many care about the price tag with the technology to allow us to do so. People will open their wallets to have that option. It's absurd that I would have to Change out my HDMI cables to play the game I want. It's already tough for me with the Wii U and Ps3. Another system is a nightmare. I'm not mad at Zen I really appreciate what they do. I do support them have Castlestorm on Steam and well.... Since My PS3 is Kaput I went on and got the games on steam again when they were on the flash/summer sale. I missed my Zen. When and if I get a PS4, I'll be able to play these fantastic tables on the big TV. I digress. Give zen some time. With all the negativity towards MS with this announcement, things are likely to change. Lesson learned SONY and MS. Compatability with older games is a must on your next cash cow/console. Be smarter about it. Last edited by tenorhero; 07-17-2014 at 09:14 AM. Was my most played game from the 360 generation and I was genuinely excited for the xbox one release but there is no way I am paying for the tables again. It is pure greed to expect people to pay over 100 bucks again and I won't even bother trying the game out on next gen.
Been gaming for many years. When I buy a new system I don’t expect any of my old games to be available re-mastered for free. Some of the FX2 tables like the core pack I bought 3 years ago for a few pounds. I have had my money’s worth 10 times over. all our XBLA games if they are re-released? I actually don’t begrudge Microsoft this – its just that Sony have been exceptionally generous. But still, maybe a compromise can be struck and say all games from Star Wars onwards can be carried over for free? Anything older than that and I don’t really thing people have much justification to complain…. For example "Pinball FX2" has never been a pinball game per se. It is a platform that facilitates the play of pinball tables. but this is one I'm surprised wasn't forseen by Microsoft. Weren't people annoyed enough when they could only get 1 achievement per new table because of their archaic system? and on that note, could i ask if the Xbox One challenge system will be utilized? and will all tables have 3 achievements? I can't believe the absolute gall that MS has to doublecharge me for content that I've already purchased. I've been defending my Xbox One purchase against several of my friends who are PS4 fans, but I can't defend this. I've had to throw up my hands and admit that Sony is killing Microsoft this generation, and I made a big mistake choosing Xbox. I am also here to voice my dissatisfaction with the news that there will be no method to transfer content between the Xbox 360 and Xbox One, which is a shame as it is a detraction from good news that Pinball FX2 is coming to the Xbox One. Like many on here I have spent the years since the release of Pinball FX(1) building my table collection, I think there are currently 5 tables (1 pack and 1 Single) that I do not own on the 360 (ignoring the football variants). To match my current collection it would cost (if the $ to £ conversion is a straight exchange rate conversion and not the usual $60 for a digital game = approx $90 for a digital game in UK prices) in excess of £60 (approx $100), which is just not going to happen and the fragmentation of having some tables in 1 system and some in another is going to make me think twice about buying any future tables that I can't pick up on my 360 (and probably have a knock on effect of my willingness to purchase Pinball FX3 if it ever surfaces). Don't get me wrong in what I've said above I would be willing, if required, to pay a small transfer fee if absolutely necessary (Although still of the opinion if it can be done by Sony, why not Microsoft). Gamers can purchase a disc-less dual-license digital version of Call of Duty: Ghosts. This version will include the Xbox 360 digital version of Call of Duty: Ghosts, as well as the Xbox One digital version of Call of Duty: Ghosts - linked and unlocked via a user's Xbox Live gamertag. It's still available now if anyone wants 2 versions of Ghosts for £36.29! All the links are (hopefully) from official sites, I am sure there are more, maybe some or all of these links could be of help. Well, i´m very unhappy too with this nonsense of have to rebying all the tables that i already own in my xbox360 (all of then, by the way) to play in my XboxOne. I hope Zen and MS can make things right with us customers as soon as possible, and lets not forget about our hard earned High Scores. Please Zen, don´t forget about the scores of the tables, a lot of then took really a lot of time studying the tables. An option to import even the achievements would be nice too, some of then was very frustrating to achieve, and the thought of having to do then all over again is very painfull. Well if Zen needs fans support, they could count on me. Sorry for Microsoft, but as many Pinball FX2 players, I was waiting for the annoucement of my favorite game on XBox One to chose witch next-gen support I will buy. From the beginning, Microsoft definitely not assure with the tremendous work of Zen Studios. For example, patches to fix some bugs on XBox360 are difficult to achieve apparently because of the cost. While on PSN or Steam (which is also a Microsoft Support for PC), it costs nothing! Today it's all their work on the XBox One witch is questioned, with a impossible cross-buy, due to a political problem between 360 and XBOne servers (players don't care = Microsoft is the only one boss of the 2 supports). When Zen (originally a small studio) offers cross-buy or free tables, Microsoft (a financial monster) thought to earn more profit by repaying licenses that have been already purchased on their brand. So what Microsoft has really to gain? Simply watch the progress of the community whenever Zen out a new table or a new pack! Each time, new players make their apparution and buy others tables. I think it's a good reason to give them a cross-bye possiblity. Zen Studios is an exploding studio and Microsoft stopped them in their run : they do their job (and more) by working on the XBone project, don't disappoint them, and don't disappoint us ! I'm wainting for solutions but for now, if things stay like this, my choice will be on the PS4, as many other players, believe me ! (and count on me to advise all my friends throughout the Steam and XBox360 communities. "From the beginning, Microsoft definitely not assure with the tremendous work of Zen Studios. For example, patches to fix some bugs on XBox360 are difficult to achieve apparently because of the cost. While on PSN or Steam (which is also a Microsoft Support for PC), it costs nothing!" This bit is just wrong, and out of date. It used to be that your first game patch with Microsoft would be free (hence developers working really hard to make their first patch fixed as much as possible), after that, it would cost $10,000 per patch. It is for this reason that games such as Brutal Legend were never patched further to fix game breaking bugs, as the cost to do so was so high. Mojang brokered a special deal with Microsoft to waive the patch charges for Minecraft (can you imagine what that would have cost with its constant updates!!? ), and a similar deal was done with Undead Labs for State of Decay, and shortly thereafter, the patch fee was dropped entirely. But through all of this, people were constantly singing the praises of how it is free to patch Sony games on the PSN, when in fact, they had in place a similar, if not identical, patch charging system as Microsoft. I believe this has changed now also, so that it is free to patch on the Sony platform as well, but don't quote me on that. "Polygon reached out to a Microsoft representative to ask if the limitation facing cross-platform compatibility was in the hardware itself, the Xbox Live Marketplace or something else. This story will be updated with any response. Update: A Microsoft spokesman replied that "with Xbox One, you are able to transfer add-on content from Xbox 360 to Xbox One for certain titles. We are working with Zen Studios to bring this feature to Pinball FX 2." So, it´s true??? We can be happy about it now??? Thanks for this details, but I really not understand. So the first patch is free, and next upgrades or patchs costs 10.000$ each one. Tell me what Microsoft have to do for 10.000$ !! May be they need 100 more employees for an update ? (so give me 10.000$ and I will personaly push the button). Or is it a special fine for developpers ? Sorry I won't engage another console war but I just call that "easy money" ! May be Sony has a similar patch / upgade charging system (I really don't care about that) but it supports cross-buy system too. All the rest is a political problem Microsoft wanna speak to justify the question on each morning brainstorming : hey guys, who can push the button for free ? I really can't undersand why Microsoft has spended thousands millions on the XBoX One Project and couldn't follow his first logic on the long time (when XBox360 was realesed, first XBox games worked on it too). That just a genese. But it's really hard for studios when their vows are to preserve their gamers community they already purchased a licence with Microsoft. It would have to be at launch, or at least, well advertised if it were to be soon after, imagine the backlash if people started buying tables, and then they implemented the crossbuy feature? Zen are working on porting them over at a later date, according to the Polygon article. If they are going to bring those tables to Xbox One, then that means that they are completely redoing those tables. They have different coding than the more recent tables. I hope that we see all tables from PBFX1 and 2 (except for Ms. Splosion Man) on the PS side. I hope that we see all tables from PBFX1 and 2 (except for Ms. Splosion Man) on the PS side. The completionist in me agrees with you in wanting to see all those tables but I would just be happy with the PBFX2 Core pack coming to PSN, like with the Xbox 1. I say that because about the PBFX 1 tables because if they are going to re-release them on the XBox One for PBFX2, then that means that they would have the same coding as ZP2 and could be compatible with a release on the PS side. However, I do agree with you. If I had to choose, then I would rather have the PBFX2 Core pack. I was really excited that this was coming to Xbox One as I have bought every table released to date and am a HUGE fan of Pinball FX2. I cant even estimate how many hours I have put into it. That being said, to expect everyone to rebuy all of the tables is absolutely ludicrous. You say this wasn't something that MS would allow with XBox One, but I am just not buying that. There has to be some way to issue tables to people that already own them, at the very least for a heavily discounted price. You could issue refunds on your end, outside of MS. At the very least, that would give some of our money back on tables already purchased. I am just not buying that there is no way to go about doing anything about this situation. Again, to expect people to buy all 40+ tables again is just absurd. Your talking about a significant amount of money and I for one just refuse to do it. All this policy is going to do is push loyal customers away. If you really were forced into going this route then you should just bite the bullet and release your entire past library as a single package for $19.99, to everyone, regardless of wether someone owned the tables on the 360 or not. Release everything as a single package and start fresh. You can go on to make money on your new tables that get released after the fact. Its not like you haven't already made money on the vast maority of your tables. Sure, you would be losing some potential income, but in my eyes that is VASTLY preferable to losing a significant portion of your fanbase, which you most certainly will if you make everyone rebuy the tables. Just look at some of the responses in this thread. Going this route, your going to lose in the end. Release your entire library up to this point, with the exception of maybe your newest tables, for a price like $19.99 and not only do you make your installed Xbox 360 fanbase happy, but you will also bring in a lot of new people as that would be an amazing deal to anyone new to the series. Its a win win scenario in regards to making gamers happy, at the cost of losing some potential income. You would probably wind up making that loss of potential income back anyways, as any new tables that you do wind up releasing will just sell that much better if you wind up going the single package route that I described as your fanbase would be intact and more than willing to buy new tables. You go the route your going and any new tables you release are going to make just that much less, due to people boycotting the franchise altogether. Again, its a win win scenario for gamers if you go the single package route, which in the end is a win win for you on any new tables you release. Oh well, this is the very reason why I have absolutely no plans to ever sell my 360. I will continue to play FX2 and the tables I already own on my 360. You wont be seeing penny one from me for XBox One, and possibly any new tables that come out from this point forward. As much as I love your game, I just can't support this kind of business model. Not only is it wrong, it sets a TERRIBLE precidence in the gamig market. You push someone long enough and eventually they will push back. That is a fact! The gaming industry has been very greedy as of late in regards to remakes and HD updates. Last of Us for PS4 is the latest example. $59.99 for an updated game, one that has already gone on to be HUGELY profitable. Its as greedy as greedy gets and the fact that they ultimately dropped the price to $49.99, due to people complaining, is 100% proof of that fact. Even $49.99 is an insult and anyone that winds up paying that price is only hurting the industry as it will show other companies that they can do the same thing and get away with it. But again, you push people long enough and they will push back. Developers have been pushing gamers for some time now. Making people buy all of the tables again for the Xbox One is just another perfect example. Just don't be surprised when gamers start pushing back!! Wow, that was quite the anger fuelled rant. Whilst I can appreciate your frustration, you don't once acknowledge the fact that Zen have said that they are working closely with MS to try and come up with some kind of solution, what that might be, no-one outside of Zen and MS themselves know yet. And from what Barbie has been posting these past few days, they are close to announcing something good soon, hopefully. Fingers crossed that even if a total crossbuy feature can't be implemented, at the very least, some sort of discount sales bundle package can be, as you suggest. Well the gamer had to vent his frustrations somewhere, why not Zen? However, I hope he/she did the same thing on the MS side (not that anyone needs to be yelled at or anything). There's a lot of holes in that rant that should be addressed. However, I won't be the one to address them. Also have to agree about the TLoU which is totally irrelevant here. Still, I'm actually going to oblige it. Now I won't get into a debate about it or anything in that nature. The game is 50 bucks. Okay. It's not a ripoff because the FANS demanded the game be on the PS4. It's an okay deal. You get a game that's retailing on Amazon for 30 bucks for PS3 with DLC included that prices at 20 bucks along with higher res and framerates,etc on the newer platform. This game is for those *like me* who haven't played the game at all and is playing it for the first time. So we'll be playing the definitive version. Xbox gamers who switched over to PlayStation will get a chance to play the game as well. The value of the game is subjective to the gamer. Everyone's taste is different and those who have the game on the PS3 already may not see this as good value. Just saying it's another way to look at it. Tomb Raider, GTAV, etc have gotten or is getting the same "definitive version" treatment, yet I don't see a lot of people hating on that. My apologies for the off topic post. I just wanted to give this person another way to look at how that particular game is being marketed. While I appreciate you letting us know how you feel - please see my responses above - we are working on a way to get content transfers from 360 to Xbox One. As soon as we have news on how that will work, I will post it. We are working with Microsoft to get this resolved as quickly as possible. Well said Barbie, it's as if he just didn't read or see anything you had written, despite referencing other responses in this thread. I look forward to any incoming news you have to share with us, release day is just over a week away, so hopefully something can be sorted before then! My favourite movie as a child was The Goonies. I had in on VHS. When it came out on DVD, I bought it again. And when it came out on Blu-ray, I bought it again. Did I complain? No. Did I go on the internet and call all involved greedy, corrupt scumbags? No. Did I put my foot through the TV and send Steven Spielberg the bill? No. Why? Because each time, it took time, effort and money to polish up, retransfer and repackage. Why should they not be compensated? Honestly, I don't understand this culture of entitlement. Someone tries to sell you something again; a newer, better version, you either want it or you don't. You don't HAVE to buy it. No-one is holding a gun to your head. If it's free this time around, it should be an unexpected bonus. People should try being a little more grateful and a little less spoilt. I agree with everything you just said, +1 to you my good sir. Indeed, I was willing and fully expected to pay for Pinball FX2 all over again on Xbox One, even before the release date announcement and the fallout that came with it, as the way I saw it, Zen have worked hard to get everything running at 1080p 60fps, why should we not expect them to be compensated for it? Having said that, the reason I'm not against the free crossbuy feature is because A) I'm not insane and would never turn down something for free (as long as it's not a kick to the nads or something), and B) When the "rival" console has said crossbuy implemented, it's understandable that those on Xbox One are going to feel more than a little bit hard done by. But I'm not here to have a go, I'm just waiting for the hopefully good news on such a crossbuy feature making its way to Xbox One in the not too distant future. I think half the problem is that without these tables there really is nothing else. FX3 seems to have vanished and there is no specific next gen content. So whereas being able to play the old tables would have been a nice ‘side dish’ it’s now unfortunately the ‘main course’. I agree totally with what you say though Ozzpot. Sorry but to say that Microsoft is Bad as a devil because let Zen Studios be payed twice for a content is a little bit absurd. I'm pretty sure that in someway Ms will set everything with zen, but I don't understand why the problem has not been addressed before the FAQ release. Ms did not expect that people would be so angry? Serious? I don't know what happened but is clear that something is changed between Ms and Zen and I can bet that is due to the decision to arrive on the market as an indie and without publisher. anyway I will not buy more tables until all the matter will be cleared. very sad to say, but it's from november that i'm waiting for the Xbox one port and this kind of surprise was totally unexpected. Anyone is to blame. Can we get a achievement list for the ONE please! Just wanted to say GREAT JOB, and THANKS for getting this taken care of! Very, Very, Very much appreciated! How did this happen? It honestly doesn't make much sense. 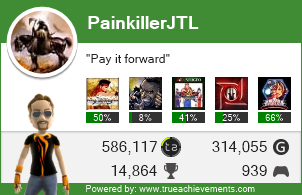 Part of the fun is chasing down the 3 or so achievements per table and being rewarded with some gamerscore. This doesn't leave much incentive (achievement-wise) to play anything beyond the free table. I realize some people don't give a hoot about achievements and that's fine. But many do. My feedback is add more achievements and gamerscore for new tables. My understanding is that base games on Xbox One are required to have a 1000 gamerscore. Our base game is a storefront with optional DLC, with just one free table included in the base game. We had to give Sorcerer's Lair enough achievements to fill up that requirement. DLC is a different story. On 360, we originally started out with multiple achievements per table, and hit our maximum a few tables ago, so the last couple of tables haven't even gotten achievements. I don't know if there is a limit for Xbox One, but I'm assuming that's why we're taking it slow with 1-2 per table this time. (I'll update when I get an official answer on max achievements on One). Makes sense, but I need to chime in here (and maybe I'm in the minority) but the most satisfying achievements I've ever had were from Pinball FX2; the way the achievement logo/award flies into the screen is pretty damn cool. I think Xbox One has unlimited achievements so I was hoping for 3 per table, but I guess it was hard to implement right away? From what I understand achievements can be added later on the new system so maybe it's something you can look at down the line. If that's the case you guys should have gone with 'total score' achievements for the base game. So it would be technically possible to get 1 billion, 10 billion, 50 billion on Sorceror's Lair but easier with DLC so there's more incentive to buy and play it. The game seems totally unbalanced with 1000G for one table. In terms of DLC achievements, have you considered using mini challenges? You could have a system where there are challenges built into the hub (say, grab a multiball on the PvsZ table) and then the DLC achieves would be 'complete one challenge, complete ten challenges, complete fifty challenges) etc. So you have that kind of meta game thing that keeps people coming back and having new things to do. I realise it's a bit late in the day to set something like that up, but it would make the game more exciting than having one 10G achieve per table. So any and all tables released on the Xbox One will have just a single achievement and at 10G score a pop. Interesting approach, though i miss the old three per table. It was an incentive to do more with a table because once people nab that single achievement they are just gonna revert straight back to abusing a table for whatever the best way to get a massive score is. Hey, first post here....just wanted to quickly say thank you for the hard work you guys and girls have put in to get the tables to be free to transfer over, awesome job. Regarding the achievement cap I really don't think you have an issue with the Xbox One. In the build up to the release of the Xbox One Microsoft issued a statement about this saying Developers can add Gamerscore as and when they feel with a monthly cap so gamers won't get overwhelmed. Just curious, will the Guardians of the Galaxy table also transfer from the 360 to the one? It isn't listed, so I just wanted to make sure. I certainly hope so, as I bought it in the belief that it would, but if not, it's hardly going to break the bank to replace it on Xbox One. Some sort of confirmation as to whether or not we can continue to crossbuy via Xbox 360 and Xbox One would be nice going forward though, ref: The Walking Dead table etc. The way achievements were set out originally on xbox 360 was very good. Generally one easy, one medium/hard and one for completing the wizard mode. This new system is not very good. I agree with the post above - a bit more imagination with the achievements for the base game would have been better. Skode is right - on a spammy table an achievement for wizard mode extends play life and encourages people to play the table 'properly'. Last edited by Alipan; 08-09-2014 at 09:02 AM. Who cares how "easy" the trophies/achievements are?! As long as the table has a little bit of difficulty to it, it shouldn't matter. Deadpool, for instance, is not an easy table. The 2 achievement/trophy for that table is even tougher. I like how Zen mixes it up between having hard and easy trophies. Not everyone is a wizard at pinball and may be put off if it's too hard. I play pinball for chasing the high scores, Achievements are secondary to me, and a nice bonus should I pull off the necessary requirements, but they're certainly not the be all and end all. any chance to see the game in the tomorrow marketplace update? Doubtful, as tomorrow isn't a Thursday! Plus XB1 no longer really has weekly updates, it's more like whenever they feel like it now. Last edited by BBIAJ; 08-13-2014 at 12:30 AM. Just bought an Xbox One. I'm so excited and anxious for FX2s release on their platform. Counting the days and hours. I'm happy to hear that GotG will be available it should look amazing on xbox uno. Exactly, Xbox 360 updates on a Wednesday, but the One seems to update whenever MS feels like it! Zen have already said that Pinball FX2 will go live the closest available Thursday on Xbox One. Stay tuned for updates everyone. We are working around the clock right now with Microsoft to get the game out...more soon. Cheers for the update cracker! I'm guessing that if it was tomorrow, then you would have said as much. Still, it can't be too long to go now, right?